Shell size to 35 mm; shell elongate-ovate, variable in shape, usually white when found dead, fresh specimens with orangish tinge. Unlike other species in the genus, dorsal ridge weak or absent. Columellar fold pronounced. 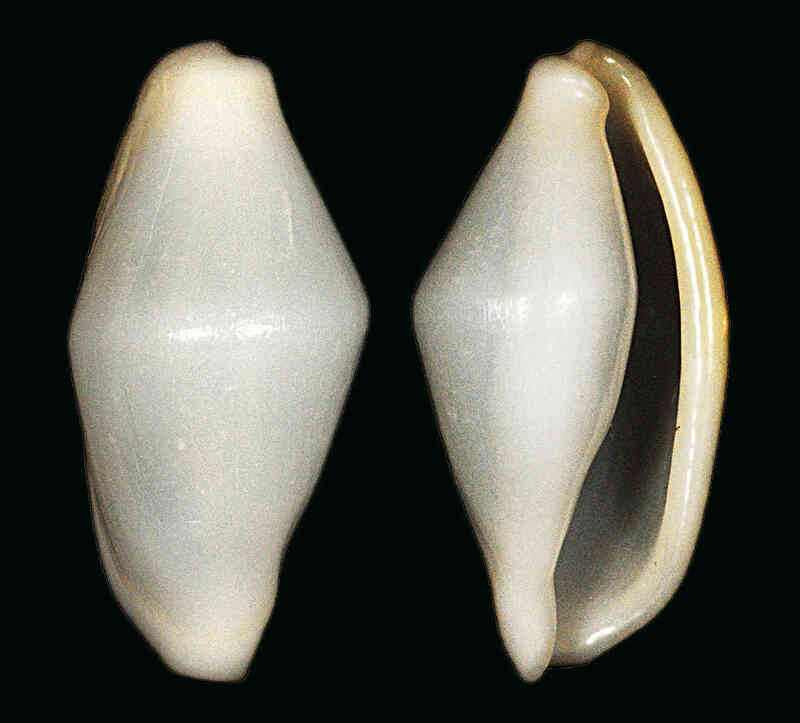 Illustrated shell was found on Sanibel by Carol Stafne in early 2009.